Reading Rooms are quiet community based spiritual resource centers that function as both bookstores and drop-in centers for the exploration of spiritual healing, prayer, and spirituality. 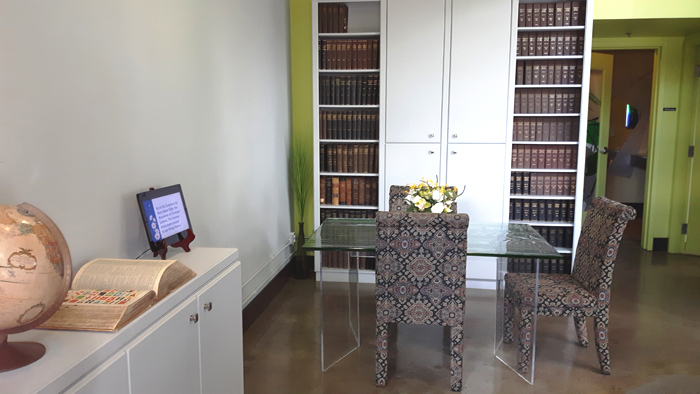 In our Reading Rooms we welcome your questions about Christian Science and you may study, borrow, or purchase the Bible, and other literature and audio products from The Christian Science Publishing Society. We also stock the complete writings of Mary Baker Eddy, music and other Bible related products (in various languages). All are welcome to enjoy our resources and attend our weekly Wednesday "Healing and Sharing" meeting. There are approximately 2,000 reading room locations worldwide. Every Monday, listen to a new episode of Sentinel Watch, a weekly podcast from the Christian Science Sentinel. Tune in to hear a question and answer on a timely topic or a report of healing in the words of the individual who experienced it. A whole new way of studying, searching and sharing the Christian Science periodicals is now available online at JSH-Online. Article - What is a Christian Science Reading Room? "One of the most unique parts of a Reading Room is the quiet study room where anyone can pray, read the weekly Christian Science Bible Lesson, search back issues of Christian Science magazines (in print or online), or just think quietly like I did that afternoon years ago. 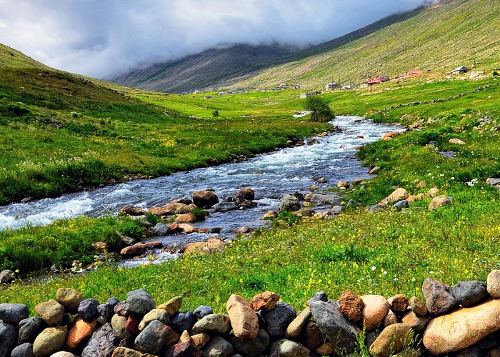 These public places are a resource for anyone on a quest for spiritual understanding and are open to people of all faiths, backgrounds, and ways of life. 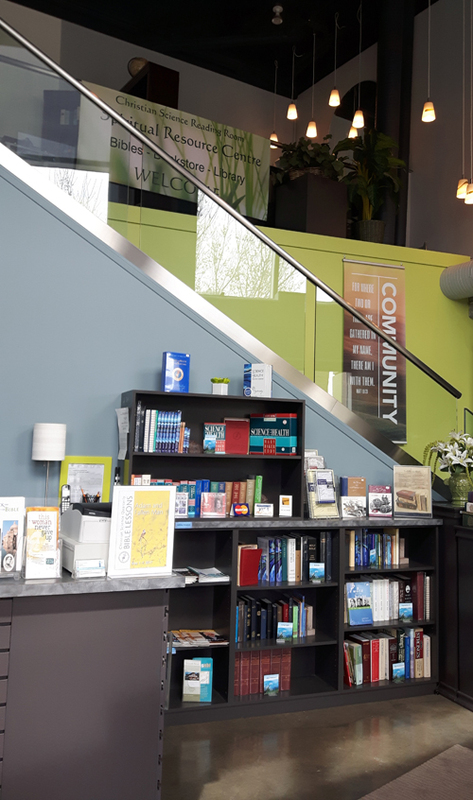 Each Reading Room is maintained by a local Christian Science church or churches, and is dedicated to helping visitors discover the peace, comfort, and spiritual solutions available to all from God." A free online version of the King James version of the Holy Bible. 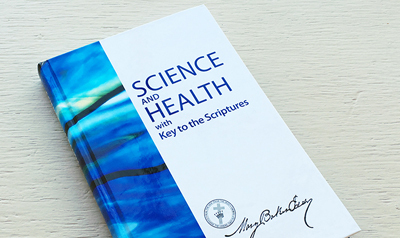 Listen to the audio version of Science and Health with Key to the Scriptures by Mary Baker Eddy. The entire text of Science and Health is available as a free audiobook for you to listen to online 24 hours a day. The recording runs on a continuous loop. That means it plays non-stop until the end of the book. Then it begins again. 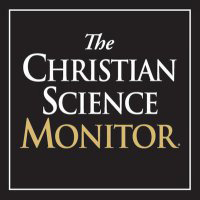 The Christian Science Monitor is an independent international news organization that delivers thoughtful, global coverage. We want to inspire people to think about what they've read long after they've left the page. To share what they've learned with others. And to do something that makes a difference.